With Steven Gerrard departing to take over at Rangers in May, the Liverpool U18s face a new challenge under replacement manager Barry Lewtas in 2018/19. Gerrard spent just one season in charge of the U18s before being poached by the Scottish Premiership hopefuls, with a host of the Reds’ academy staff also leaving. This prompted a reshuffle of the ranks at Kirkby, with Lewtas promoted from his role with the U16s and Marc Bridge-Wilkinson subsequently taking his place. Lewtas has also seen a clutch of the U18s’ stars of last season move up to the U23s squad, with Curtis Jones and Rafa Camacho making a step further as part of the first team this pre-season. With a season opener to come away to Sunderland on August 11, Lewtas will be hoping for the perfect start with his new side. 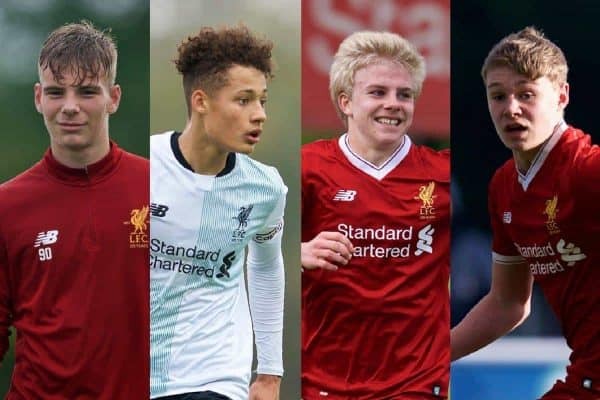 Here’s all you need to know about the upcoming season for the Liverpool U18s. Lewtas joined the Reds after spells as a coach for ages 10-13 at Wigan Athletic and 11-14 with Bolton Wanderers, initially taking over the academy’s U12s. “The staff and the structure at the academy is tight-knit so working across all the age groups, it’s obviously beneficial knowing the boys who are coming through. “It’s exciting for me because there will be a number of boys in the squad this year who I worked with last year when I was in charge of the U16 group. “Some of the lads I’ve known since they were 15 and it’s extremely exciting for me to see them on the next part of their journey. His squad is set to include a host of those players who stood out at U16 level last season, as the yearly overhaul continues. With the likes of Jones and Camacho leaving the U18s setup midway through last season, and Adam Lewis, Abdi Sharif and Glen McAuley among those to follow this summer, Lewtas’ side could be unfamiliar to supporters. First-choice goalkeeper Vitezslav Jaros remains, as do centre-back Rhys Williams, midfielders Edvard Tagseth, Liam Coyle and Elijah Dixon-Bonner and forwards Yasser Larouci and Luis Longstaff. Tagseth is a candidate for captain, as is forward Paul Glatzel, with the pair sharing duties during pre-season. Lewtas’ key figures could also be called upon for Neil Critchley‘s U23s throughout the campaign, ensuring plenty of opportunities for their younger team-mates. Those include defenders Patrik Raitenan and Remi Savage, midfielders Niall Brookwell and Leighton Clarkson and brilliantly named striker Fidel O’Rourke. Dutch full-back Ki-Jana Hoever is believed to have made the move from Ajax, while American midfielder Matteo Ritaccio was a regular in pre-season after his contract with BW Gottschee expired. 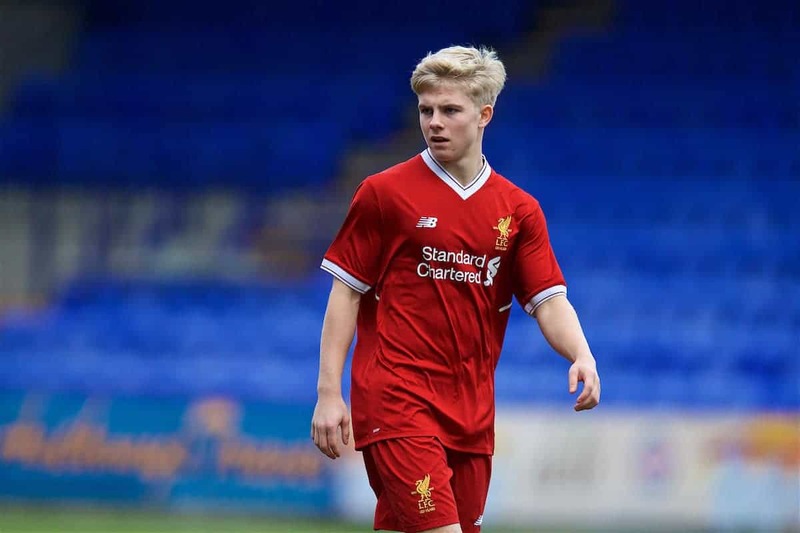 The most exciting name within Lewtas’ squad is Bobby Duncan, Gerrard’s cousin and a forward who joined from Man City earlier in the summer. * Move yet to be confirmed. 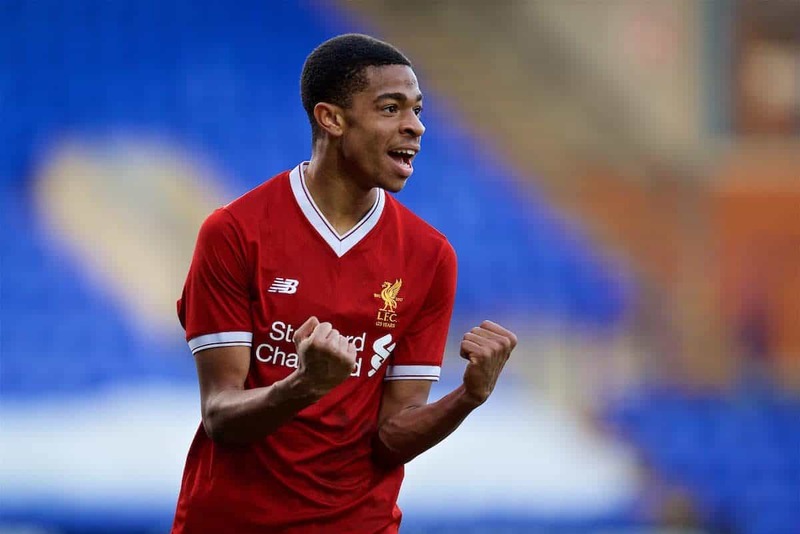 Liverpool’s opening-day trip to Sunderland provides a tough test of their credentials, with the Black Cats finishing just six points behind them in last season’s U18 Premier League. After that comes the visit of Man United to Kirkby, but the young Reds can be confident taking on their fierce rivals after two wins and a draw in their three meetings last season. A 2-0 victory over United in the UEFA Youth League saw Rafa Camacho make his mark with a stunning strike, and soon after the Portuguese was promoted to the first-team setup, providing Lewtas’ youngsters with their inspiration. Liverpool take on Man City at Kirkby on October 6, with their first Merseyside derby of the season coming at home on November 2—the reverse fixture will be held at Finch Farm on March 30. 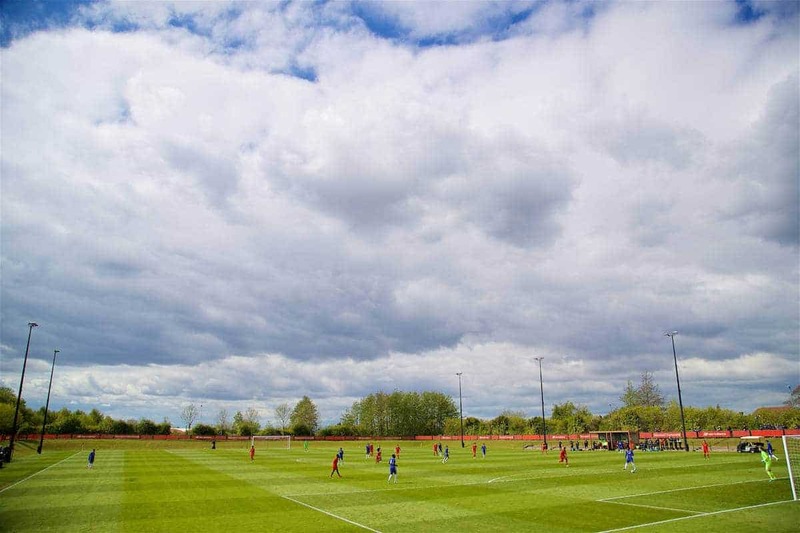 Stoke City finished a point behind the U18s last season, and will be hoping to follow on from their 2-1 victory at Kirkby in February when they meet at the Clayton Wood Training Ground on September 1. 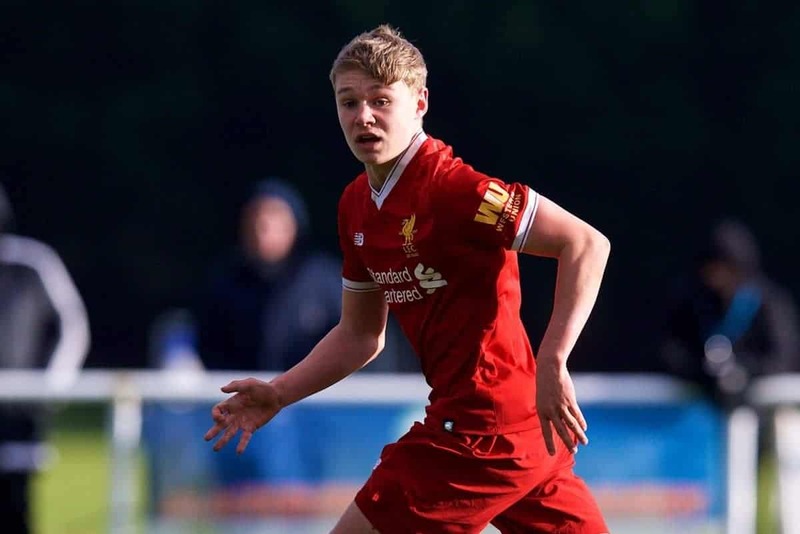 Their opponents in the UEFA Youth League, Premier League Cup and FA Youth Cup are yet to be drawn, but the young Reds can expect a difficult campaign as Lewtas looks to forge a successful reign.